The new school year always brings with it plenty of new challenges. 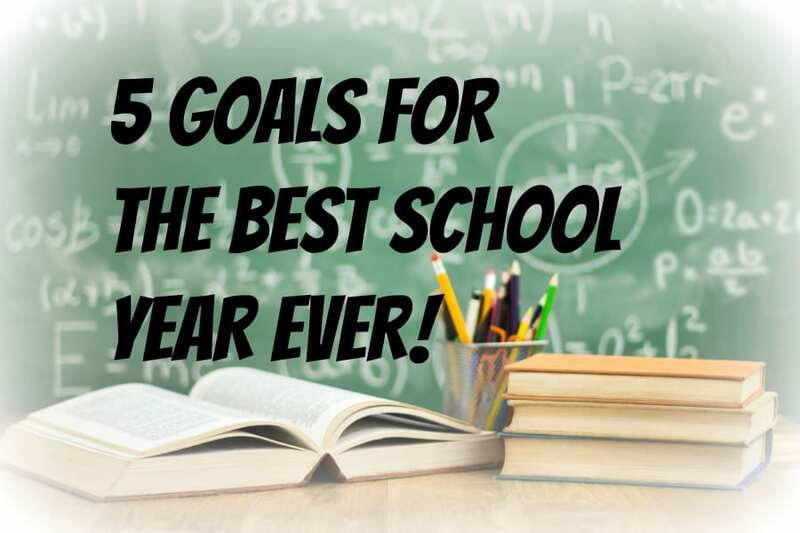 Check out this video from TheHopeLine and then read this blog to learn 5 GOALS that will help you have the BEST SCHOOL YEAR EVER. I don’t really like school to begin with, but the beginning of the year is always the toughest. You don’t know a lot of people, and all the new classes seem really hard at first. It gets better though. In a poll we ran on TheHopeLine.com, we asked what you most want to avoid doing at school this year. More than half of you answered: Slacking Off. Obviously, you recognize it as a potential problem. So what are some ways you can avoid slacking off, and help make this the best school year ever? First, it is important to recognize that an education is a privilege and learning new things can be fun. Taking your studies seriously WILL prepare you for a bright future. Next, I recommend setting these 5 Goals for yourself before the school year begins. Commit to these goals because how this school year goes academically is really up to how much time and effort you put in. Believe in yourself. You can do this! And as you meet some of your realistic goals for each class you will get a lot of personal satisfaction. 1. Go to class every day and take it seriously. People who skip a lot of classes, end up skipping life. When you miss a day, or even a class, it’s easy to fall behind. Nobody likes to feel like they’re behind, or in the dark. It can be hard to catch up and then pretty soon you might just give up. The best way to stay with the flow of the class is to be there! If you have to miss a class, make sure you meet with your teachers to find out exactly what you missed. I used to think I was cool for skipping class. Then I realized I was just hurting myself. The temporary fun I had only made me feel worse when I was in class. Then when you are in class, take it seriously and focus. Don’t surf the web, text, snap chat or whatever other distraction tempts you. Take notes during class even if your teacher doesn’t require it. This exercise will increase your concentration, and will greatly improve the amount of information you retain. You don’t have to write down everything, but keep track of the main points. Write down questions you have, and then the answers to the questions when you get them. I thought only super smart people could be organized. But it’s really simple to just keep track of everything I need to do, in one place. It helps a ton. Don’t be afraid to ask questions. In fact, teachers like students who are willing to raise their hand and ask for further explanation on something. Believe it or not, most teachers do really want you to LEARN and if something doesn’t make sense, they want to help you understand. If you aren’t comfortable asking in front of the entire class, stop by after class to talk to the teacher. At first I didn’t want to ask for help. But when I realized the teachers appreciate when we make an extra effort, it makes class so much better. Don’t be another one of those students that just tries to get by. The whole point of learning is to develop knowledge about things you don’t know. On top of that, everybody processes information differently. So if you feel like you’re not catching something, or missing some details, it really is quite normal. It does NOT mean you are stupid. Your teachers, or even tutors, are there to help you. Don’t wait until too late to get help. Use your time in school to explore various interests you might have. Maybe you’ve been trapped in the path of just doing sports, but you’d like to try something in the music department. Or maybe you’ve always loved science, but decide to try a literature class and love it. View this as a great time to test out different activities and subjects you’ve always wondered about. It can be extremely stressful worrying if you’ll have any friends, or if you’ll be alone and not able to blend in. This is especially true of students who are enrolling in a new school. Believe it or not, 1 out of every 4 people is new at your school this year. That means there are plenty of people who are facing the same kind of fear and stress that you are. One of the hardest things for me is to be alone at school. It can feel like everyone is talking about me, or worse, ignoring me. Look for the peoplewho are usually sitting by themselves in the lunchroom, in the library, etc. They are probably just hoping and waiting for someone to talk to them. Reach out to them, find out who they are, and what they like to do, etc. Don’t be afraid of being too aggressive. You will discover your new friends sooner than you think. Taking time to reach out to them will go a long way in making the school year great for that person, as well as yourself. Check out this TRUE story about what happened when someone was brave enough to say hello. Remember, it’s up to you to decide what kind of school year you’re going to have. This much we do know, having a great education greatly increases your chances of being successful in life. Make the most of it while you can. P.S. 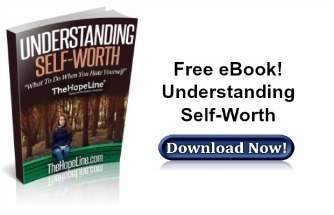 If you or someone you know is struggling with self-worth, please download this free Ebook from TheHopeLine. I have never got as much help for my English as reqired from any other website. But this was really helpful for me.